Thanks and this thread actually compelled me to mod her further. Do you plan to put together a classic Lara to go with your Reboot Lara? Sweet! What are you using for the AK Harley? I remember there was a bootleg set awhile back. Drawing from about eight different sources, including two bootleg sets. I'm creating her leather pants practically from scratch. Boots, too. 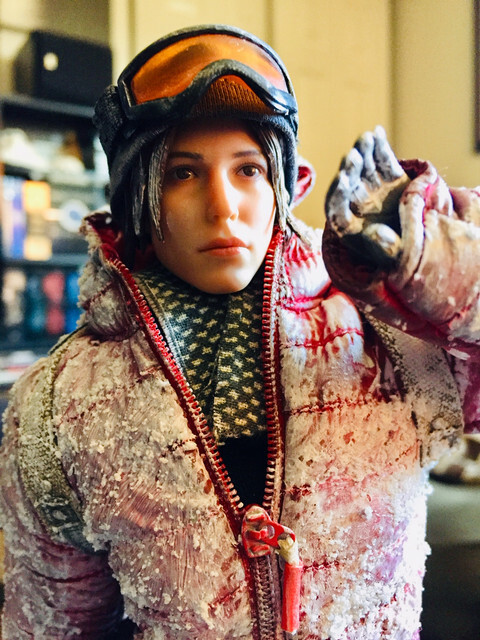 Found a great head sculpt that's super close to her in-game model. 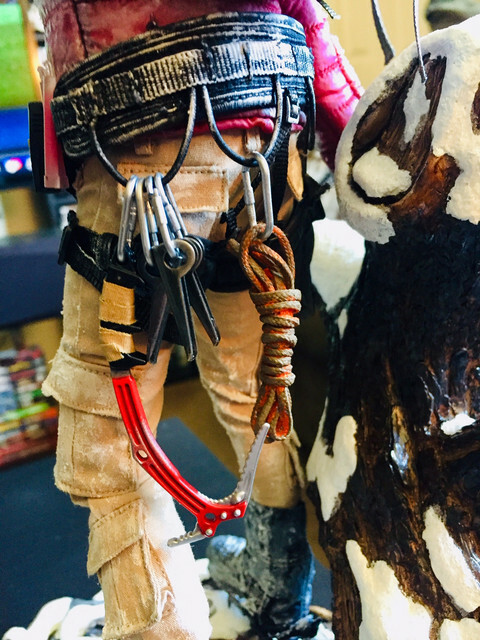 Mike (Hydeous) is working on the repaint. Hairing will be rooted by a different artist. And I'll also be modding and painting her MK46 with grenade launcher myself. Like I said, it's a big one But she'll be an amazing grail in the end. 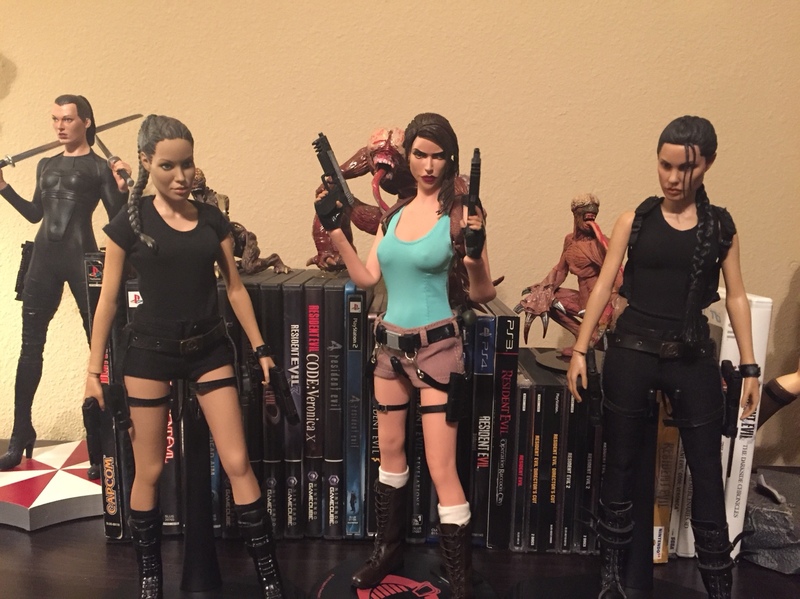 I managed to find an incomplete Sideshow Lara (comes with the head and pants) so I plan to convert her into either the Anniversary or Underworld Lara. I'd like to imagine that getting the clothes would be a nightmare! The only versions I want is Legend, Angel of Darkness and Underworld looks. Wetsuit version as well. 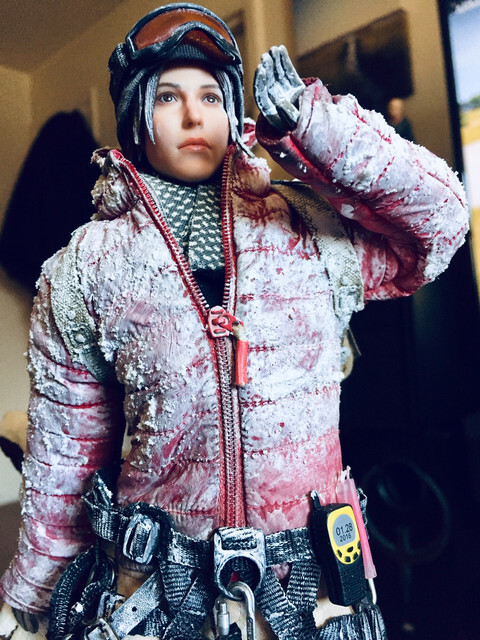 Hopefully its ok to dig up this thread but this is my WIP Lara from Rise of the Tomb Raider. Its my first kitbash since I started in the 1/6 hobby last year. I've learned alot so far and look forward to doing another one, probably the 2013 Tomb Raider version. How dare you bump an old thread?! That's so cool! (pun intended). How did you do the snow effects? 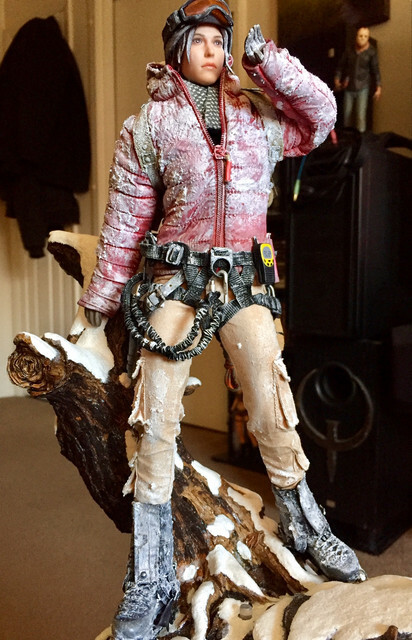 It was a combination of Vallejo acrylic snow and snow from the Tamiya weathering kit. Just some trial and error but I think it came out pretty good. 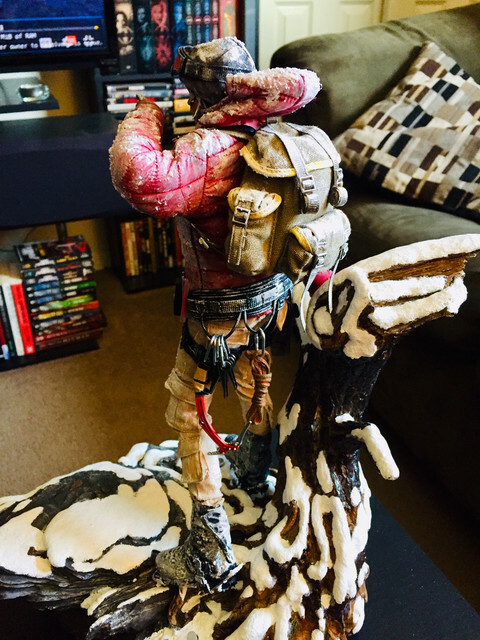 Very nice custom to a mediocre trilogy.